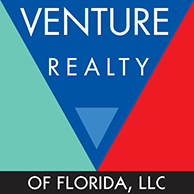 Active in the Gainesville real estate market since 1976, John was a longtime partner in ERA Trend Realty before founding Venture in 1991 so that he could focus on commercial real estate services and property development. Since then he has developed apartment complexes, condominium projects, retail centers, office parks, office buildings, residential neighborhoods and warehouse projects in Alachua, Putnam, and St. Johns counties. John specializes in build-to-suit development for long-term tenants, real estate investment analysis, commercial land sales, real estate residential neighborhood development, and development consultation He excels at making deals happen for all clients from tenants to landlords. 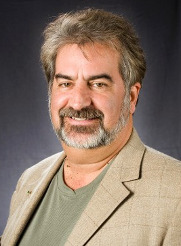 John moved to Gainesville from McLean, Virginia, in 1972 to pursue his education and has since graduated from Santa Fe Community College and the University of Florida. He and his wife, Amy, enjoy traveling and spending time with family and have raised three children in Gainesville. John considers it “the best place to live with the best people” and is an avid supporter of the Kika Silva Pla Planetarium at Santa Fe College and the Sebastian Ferrero Foundation. One of the original realtors licensed with Venture in 1991, Amy now co-owns it with her husband, John. Amy specializes in commercial lease negotiation, commercial lease administration, commercial property management, and development conceptualization and analysis. With John, she has developed a considerable number of properties in Gainesville and St. Augustine and focuses on providing clients with the details they need to make educated decisions in investment, sales, and leasing. 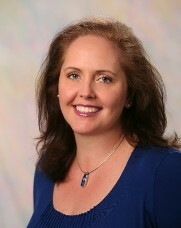 Amy moved to Gainesville from Key Largo in 1987 and considers it her hometown in many ways. She is a Board Member of Girls Place, Inc. and and avid supporter of the Kika Silva Pla Planetarium. Although she loves to travel, Amy still thinks Gainesville is the perfect place to do business, be surrounded by smart, exciting people, and enjoy life. Contact us in Gainesville, Florida, today for more information about our excellent real estate services.